Unless otherwise stated, All contents of this website © 2017 Timothy Young and Creatures & Characters LLC., All Rights Reserved. Timothy Young has been a professional illustrator for 3 decades. He's created illustrations for magazines, packaging, advertising, greeting cards and many other uses. 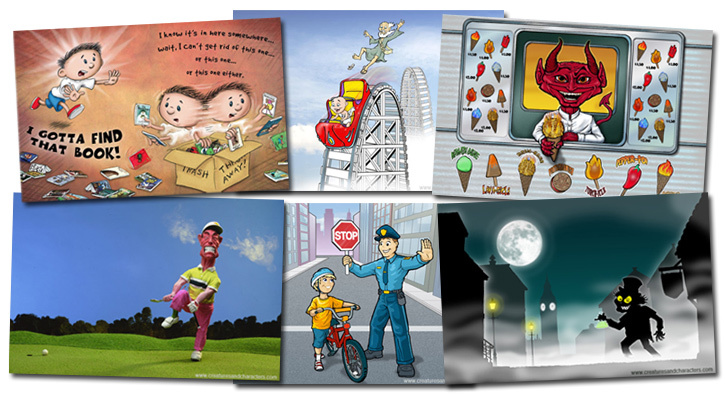 He is available to create original illustrations for you. Please have a look at some of the samples of his work.